A fabulous way to add light and sparkle into your garden on balmy summer evenings. 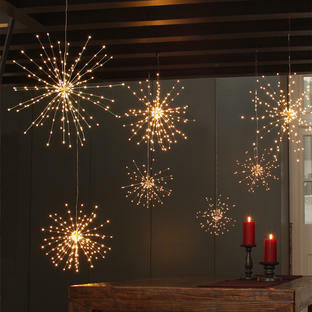 Simply stunning solar lights in the shape of wonderful large blousy dandelions. 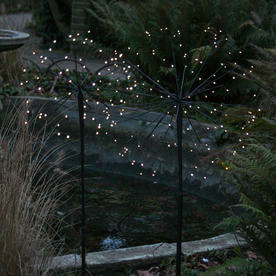 The heads and stems are dark brown and waterproof coated to enable the twinkly lights to sparkle in the garden at night. 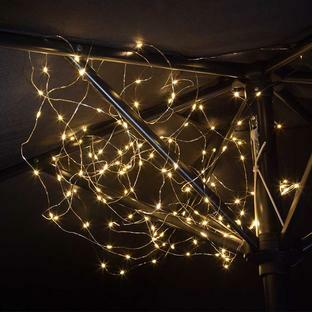 The dandelion lights are dual powered with a solar panel and an additional battery compartment which acts as an extra back up to the solar batter if required. The lights turn automatically on at dusk and run for 6 hours. There is a 3 metre lead wire so you can position the solar panel in the sunlight if you wish to position the dandelions in a darker area. 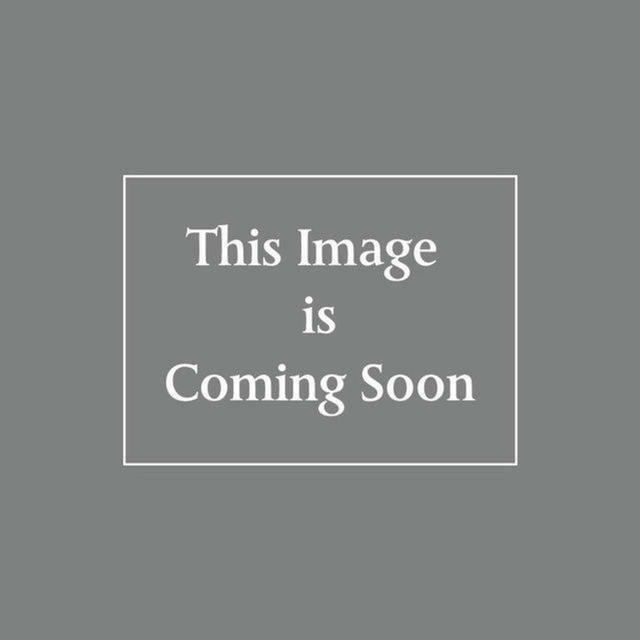 Simply stake in to the garden. 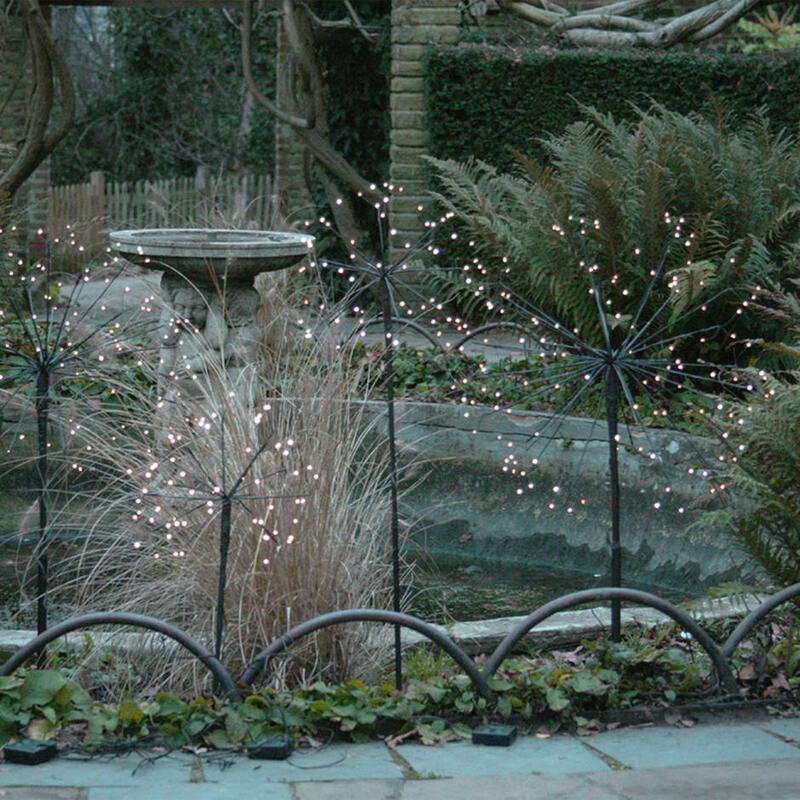 Please note: These lights are available end June, but they are available to pre-order now please ring 0345 6052505. 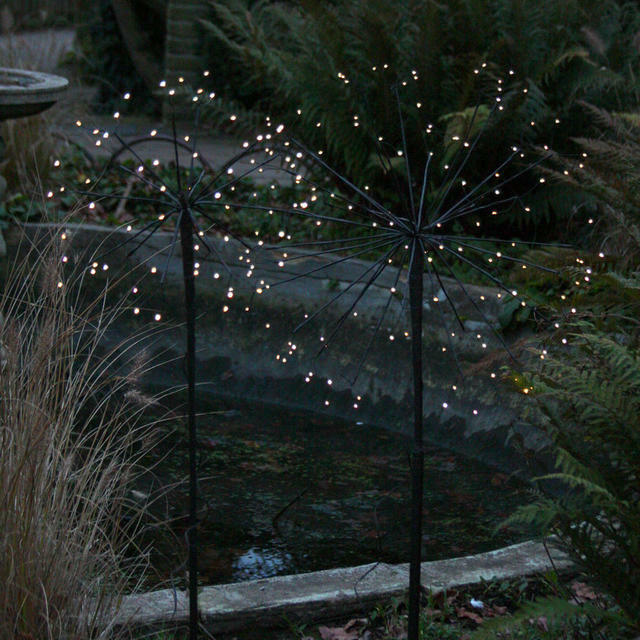 The large dandelion has 144 warm white LEDs, illuminated diameter is 55cm. 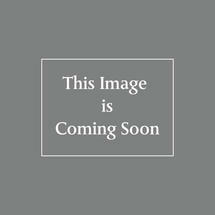 The small dandelion has 64 warm white LEDs, illuminated diameter is 35cm. Built in rechargeable battery for the solar power. Additional battery compartment for 1AA battery. Metal spike with black wired stems.